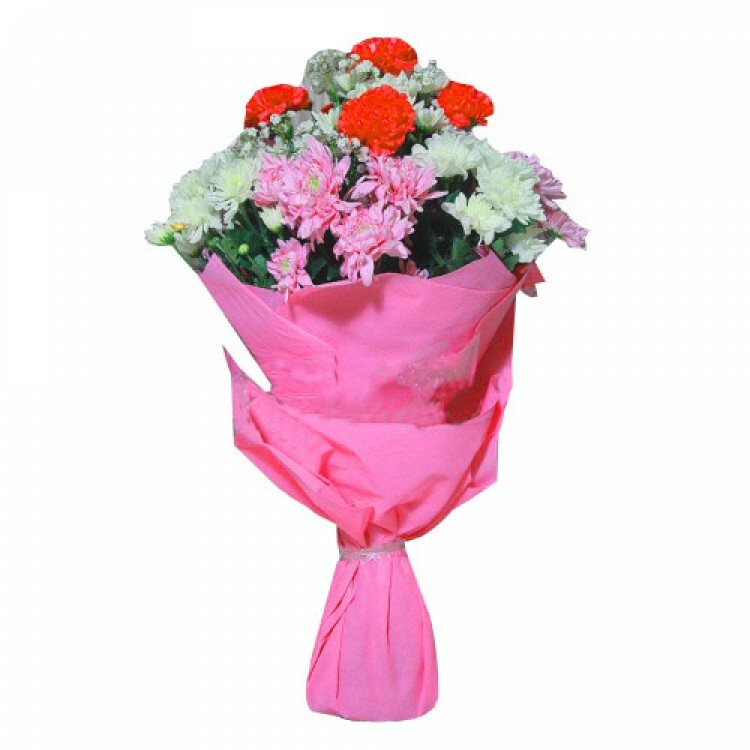 Express your love and feelings to someone special with this beautiful bouquet of 4 Carnation Stem, 2 Baby 's Breath Stem, 3 White Chrysanthemum Stem, 3 Pink Chrysanthemum Stem. 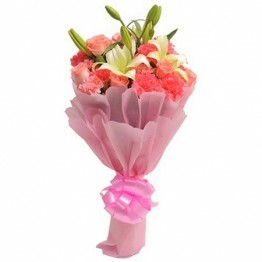 It will definitely create a magical charm with its outstanding appearance. 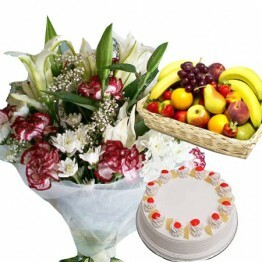 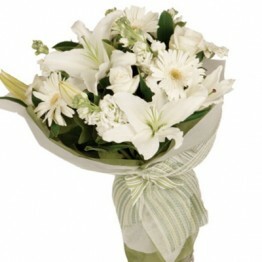 Buy or send flowers online from Giftingway, one of the easiest ways to shop flowers online to Pakistan.